Flameworking is a great way to learn to work with glass, with a quick learning curve! 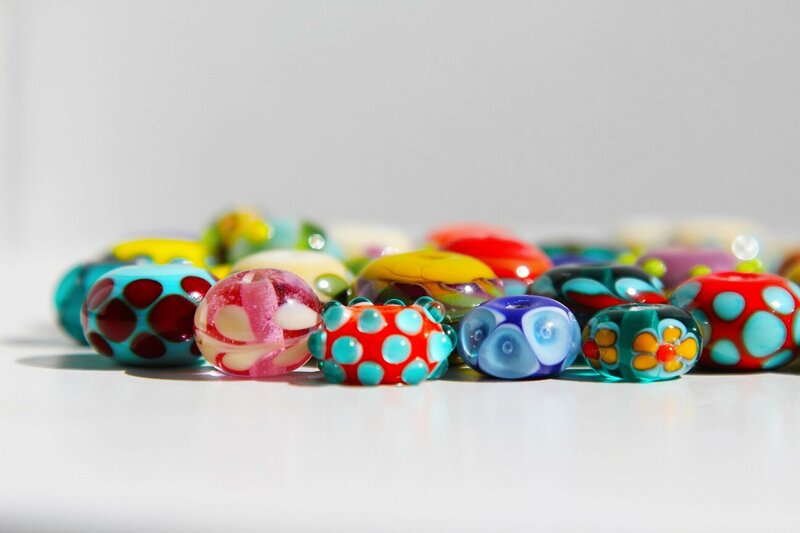 In this beginner’s entry-level class, sit with the Flo flameworking team and learn the many patterns that can be played with to form beautiful glass beads formed on the mandrel. This fun introductory class will test your coordination and is sure to get you inspired. Students can expect to make at least 2-3 beads. Learn first-hand about molten glass while coming home with some pretty wonderful handmade art! In the second part of this series, get creative and learn more about standard bead designs and patterns. In this course, you will explore how to create swirls, air bubbles and we will go over simple encasing techniques. Includes price of flameworking starter kit! After you have created your glass masterpiece, it must slowly cool in a kiln, and will be ready the next day or, if any polishing is needed, the next week. In the third part of this series, take your skills to the next level by layering clear glass on top of your design in order to magnify the pattern for an impressive result. In this course, you will explore a variety of different encasing techniques.